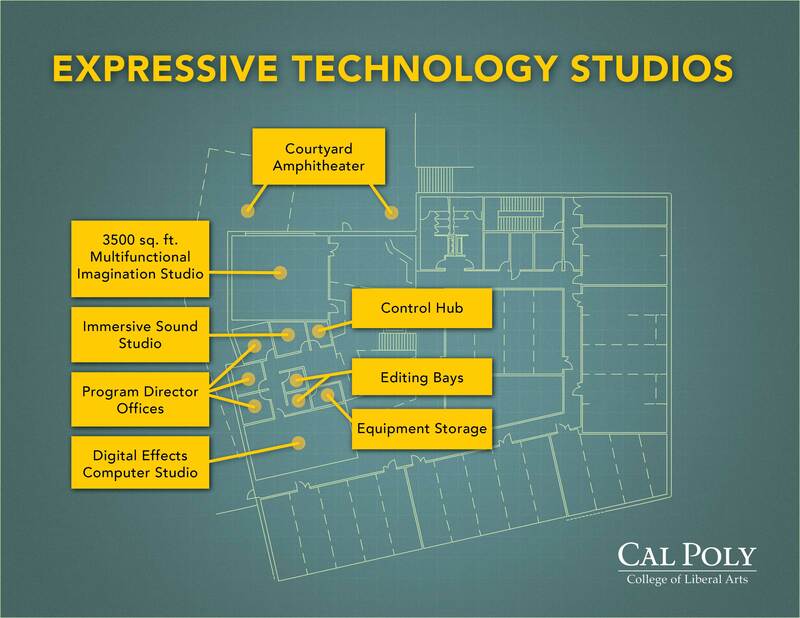 Grounded in Cal Poly’s Learn by Doing mission, the new Expressive Technology Studios (ETS) – at the heart of campus – will create an interdisciplinary space that brings together technology with the liberal arts. The College of Liberal Arts has taken the lead in developing the educational intersection between technology, humanity and the arts through Expressive Technology programs. Such programs include the Liberal Arts and Engineering Studies (LAES) Program and four minors that explore the connections between Science, Technology and Society (STS). Our goal is to make sure students have the technical skills they need to succeed in today's world; the experience to collaborate in diverse settings; and the understanding to make reasoned and ethical decisions. A dynamic, flexible workspace that fosters creativity and collaboration would maximize these efforts. What does expressive technology mean? What is exciting about ETS? 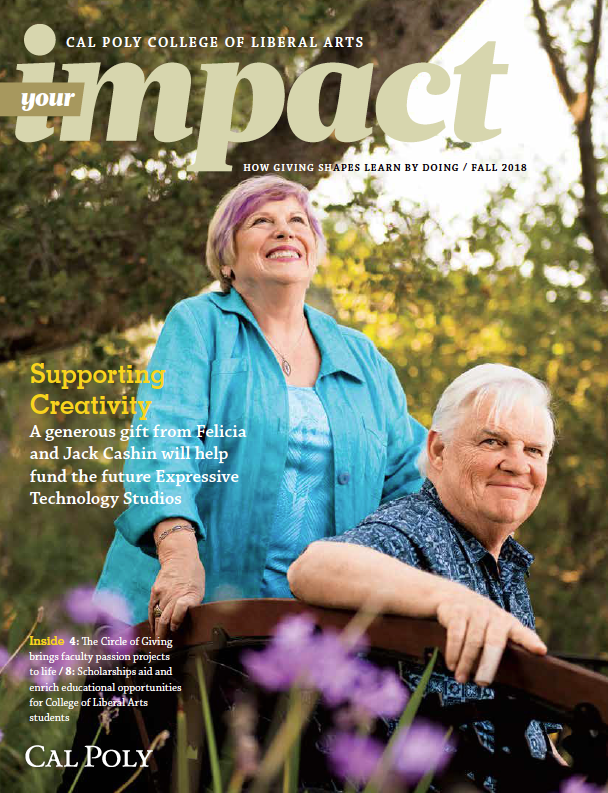 Thanks to generous donors like you, we are well on our way to opening a new world of possibilities for Cal Poly students! When students and faculty move into ETS in 2020, they will see a leading-edge facility that can be configured to their specific needs. Gifts of all sizes will make a difference in the lives of generations of students. Donations of $5,000 and above will be recognized on the building’s donor wall.